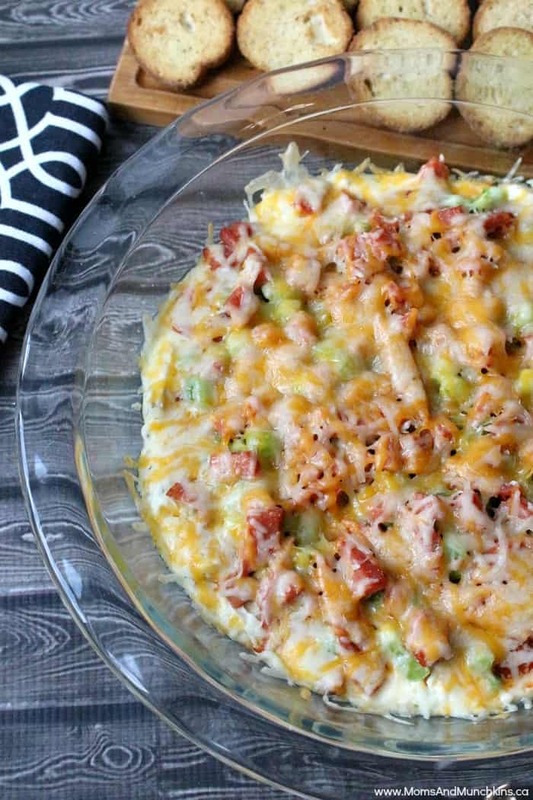 This Layered Pizza Dip recipe is a hit with all ages! It’s a great party appetizer for kids or save it for your next family movie night at home. You can load this with all your favorite pizza toppings like mushrooms, ham, pineapple, peppers…and the list goes on. I stuck with our favorites in this recipe – pepperoni and green peppers. 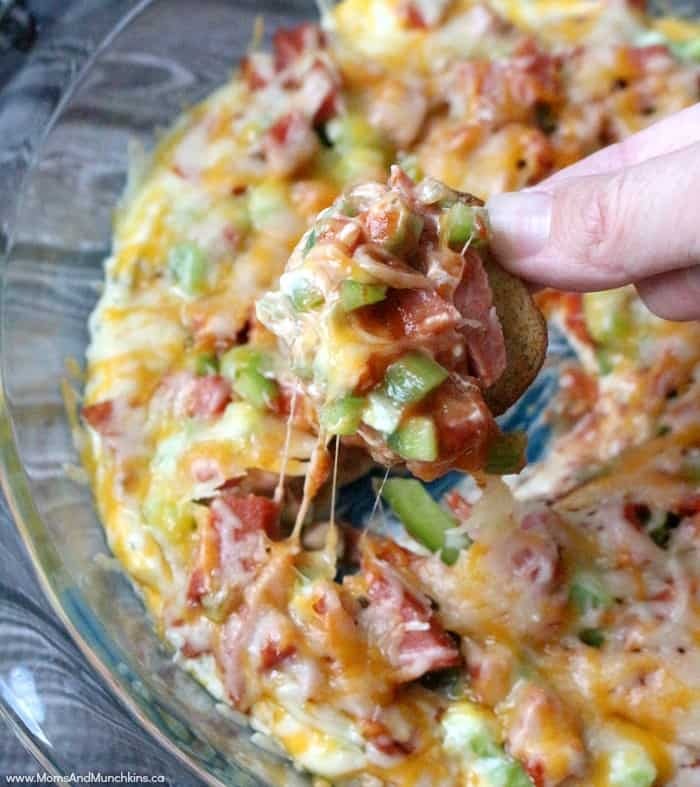 I serve this layered pizza dip with crunchy baguette crackers but it would be great with a fresh baguette, pita bread or taco chips too. I love having appetizers for dinner but I always eat so many appetizers that I can just skip the main meal. It’s not just me, right? Does anyone else here love eating a big plate of nachos for supper? This dip is best served warm so you’ll want to dig in as soon as it comes out of the oven. It does cool down quickly. In ungreased 9-inch pie pan, layer all ingredients in order listed. Bake for 10 to 15 minutes or until dip is hot and cheese is melted. Serve with pita bread, crackers or sliced baguette. 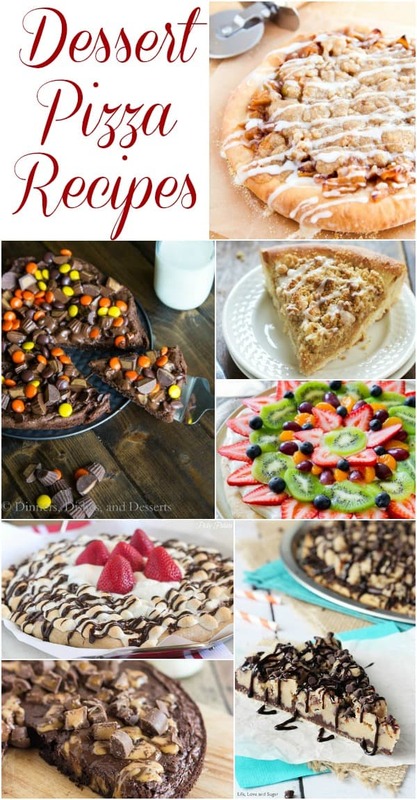 Visit our recipes page for more tasty ideas like appetizers, main meals, desserts and more. We’re always adding new ideas – follow us on Facebook, Twitter, Pinterest and Instagram for the latest updates. 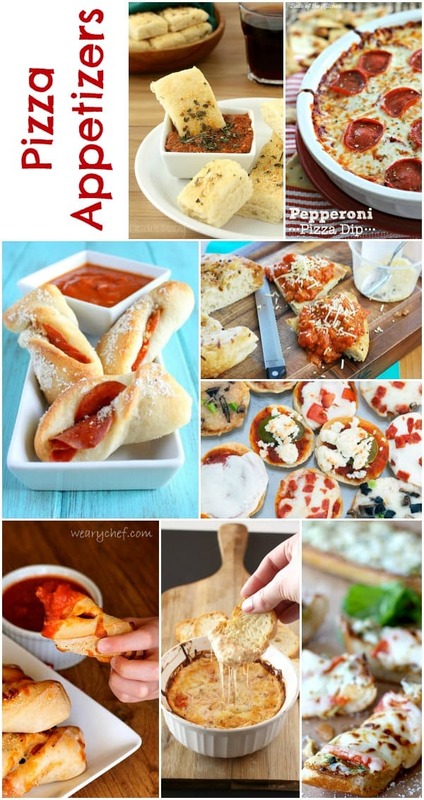 For even more pizza appetizer ideas, visit our collection of tasty pizza appetizer ideas.